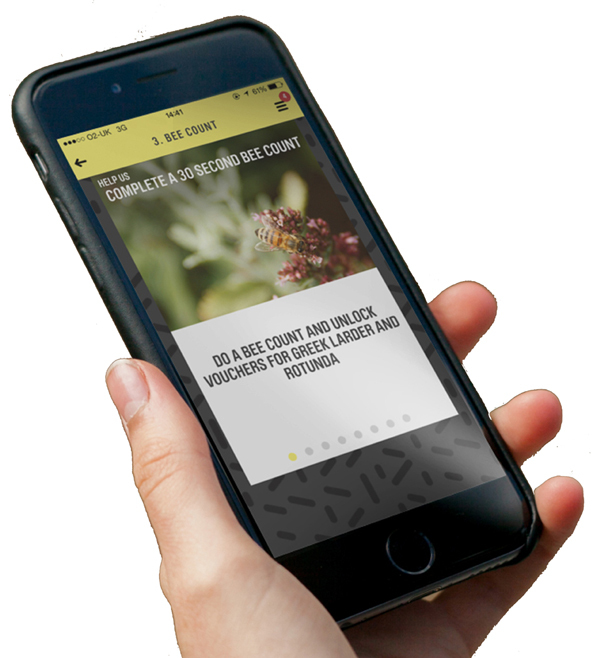 The Honey Club - a partnership with Global Generation and Wolff Olins - developed an interactive bee trail around King's Cross. It’s a journey through one of London's newest areas where you can see the new forage and habitats that have been created. On the trail you will have the chance to take part in some citizen science by counting the bees you see at different locations on the trail. You will earn vouchers to use at local eateries such as the German Gynasium, Dishoom, Caravan, Ruby Violet, and the Skip Garden. The bee trail is on over the summer from July 9th to Sept 10th 2018.